Community Yard Tree Giveaway Grant Application is Open! The Spring 2018 Community Giveaway Grant Application is open now! TreePhilly is a program of Parks & Recreation dedicated to the goal of increasing urban tree canopy to at least 30% in all neighborhoods of Philadelphia. This season, we will be doing this primarily through partnerships with community groups located in the lowest canopy neighborhoods of Philadelphia that can benefit most from the services trees provide, such as cooler temperatures, reduced flood risk, and lower utility costs. 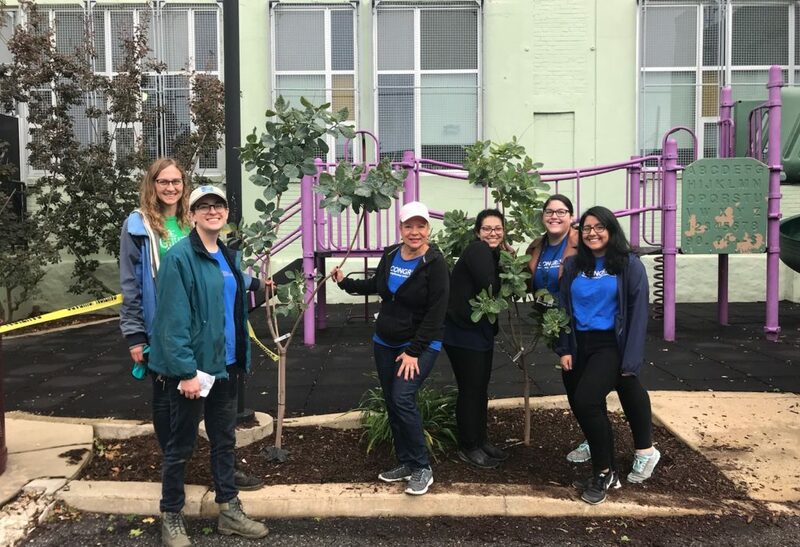 Groups that apply for this grant will have the opportunity to host tree giveaways in their own neighborhoods, with support from TreePhilly, and receive a grant of $200 – $500 to spend on improving their programs and operations. Applications are due on Wed. February 7th, 2018. The application deadline has been extended to Sunday, February 11th. Unfortunately, when I click on the link for the tree application, it comes up as page not found. Which link are you clicking on? If you could send us the link, or let us know, we’ll get right to fixing it. Thanks for letting us know!